Candor Trust: Revoke New Police Chase "Licence"
Candor Trust say the IPCA report into the Police chase death of Pehi Tahana does not go far enough. It criticises the judgements pursuing Officers made, but fails to criticise new systems giving Police too much discretion. Which resulted in chases increasing by 400% since 2003 with huge harm spikes as the sequelae. It is insane for the Police Association to claim given present chase frequency that NZ has restrictive policy, and certifiable to say that any more restrictions would cramp Polices style and create more runners. Overseas experience shows this to be a myth of the "great lie" fear promoting type. Pehi would not have died if he lived in Toronto, parts of Australia or many other places with less racist policy where chases are avoided not courted. But as a young Maori he had 4x the risk of being a Police chase casualty than any other Kiwi (MoT evading enforcement statistics). So "above accountability" are Police that the Association is even trying to sanitise findings of the IPCA report which does lay blame on Police by saying it objects to use of the word "pursuit" as one that makes Police sound like the active party. Sorry Mr O'Connor but all safer countries acknoweledge that it take's 2 to make a pursuit happen. NZ has not gone from 500 a year to over 2000 on 8 years die to inactive Police just bumping into a sudden epidemic of runners - Police have simply decideed to initiate chases more over trivia at great expense to safety. Tahana had 5 Police cars chasing him and his fearful passengers over 40 kilometres of public road, where many other vehicles were jeopardised, and also one was hit. If that's not an example of Police getting "red mist" and playing manhunt with someone instead of the road safety game what is? The killing of Pehi was pathetic and should not be accepted as inevitable, insignificant or necessary to uphold the rule of law. Had he been 14 in the year 2000 it simply would not have happened, due to policy being more restrictive back then(before 2003 when public safety left the agenda). From A to Z the needless tragedy that killed Pehi and injured innocent parties and has today bought certain Police into disrepute for poor judgement, as per todays report, need not have happened. The repeated horrifying use of excessive discretion and judgement accorded to Police about appropriate cause to initiate chases makes its own case for removing Police discretion yet. Candor says no chases of youth with passengers, no chases over low value stolen goods like gas or cars. If Police's manhunt culture that makes Maori 4 x more likely to die is to be corrected the authorities must withdraw their extraordinary licence to chase at will. Police discretion to chase which leads to the cowboy lax culture must be removed, and only reasonable excuses to initiate that hold up to best road safety evidence should be allowed - as in most civilised jurisdictions. "It's like the Never Ending Story movie - the more that nihilistic red-necks con us that it was always this way, with chases causing much trauma, the more we forget about the peaceful recent past before 2003, and the darker and more hopeless the visage becomes", says Rachael Ford. 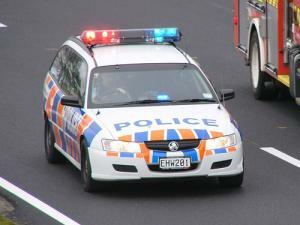 It will take a Royal Commission of Inquiry into what turned Road Police bad in 2003 will salvage road safety in New Zealand. Nowhere else is community consultation and best evidence more lacking than in the creation of Police chase policy, nor is there a greater exhibition of institutional racism seen on a daily basis.